Manzanilla Macharnudo 2014 is the third of the trilogy of single vineyard and vintage Manzanillas. The objective is to show the difference between three Manzanillas made of grapes from vineyards with their own terroir and climate, within the marco de Jerez. 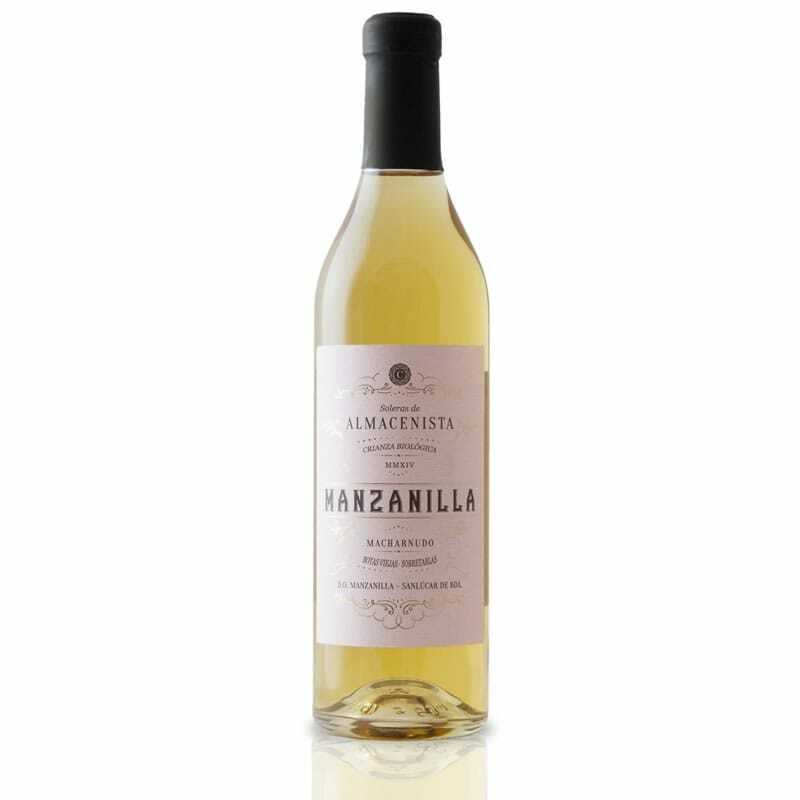 Manzanilla Macharnudo is made from selected and matured own grapes, from a vineyard called Macharnudo, located in Jerez. The soil is a type of albariza, Called Barajuela (fossil and porous soil). This particular soil along with the climate, makes a more extreme terroir than Callejuela and Añina. For instance, there are 10 degrees Celsius gap between Macharnudo and Callejuela. Traditionally, this Pago was selected to make amontillados, due to the utmost concentration and lower lever of flor. The still wine is made of Palomino white grape, undergoes spontaneous fermentation and low in sulphites. Then it is fortified to 15% and aged in static system (in single barrel instead of solera) meaning 1 year in static equals 3 years in solera, in terms of complexity in flavours and balance. Manzanilla Macharnudo shows an outstanding pure concentration, very mineral, salty and dry. Ideal as aperitif and food pairing with sea food, fish, charcuterie and cured cheeses. Limited Production of 600 bottles of 50 cl.